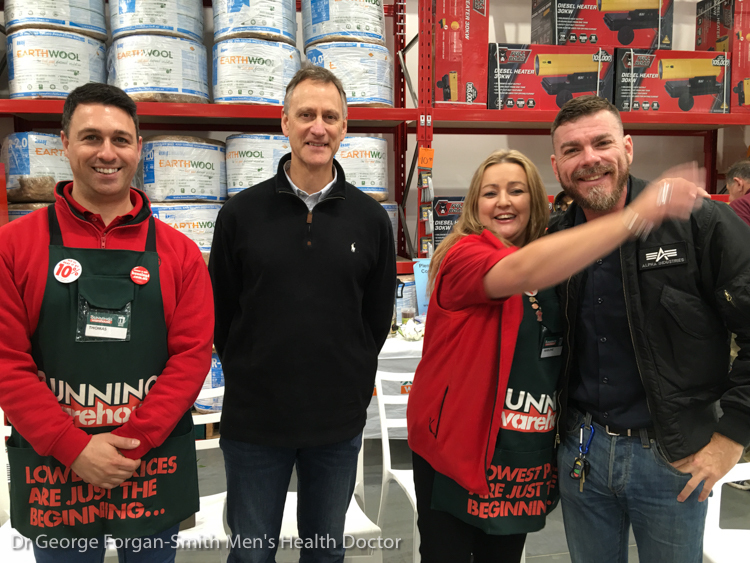 Dr George Forgan-Smith AKA "The Healthy Bear" recently presented a talk on men's health at Melbourne's Bunnings Warehouse in Epping. This was an initiative created between local health service Plenty Valley Community Health and Bunnings Warehouse Epping. It's simplicity is genius: meet men where they are at! Topics covered men's health issues for different age groups and their importance as a man ages. Suicide, depression, prostate health, erectile dysfunction, bowel cancer, skin cancer, substance abuse and many other topics are covered highlighting the complex and dedicated needs for men and their medical needs. To purchase the world-class mucuna pruriens supplements at the most discounted rates, visit mucuna pruriens TestosteroneOfficial website. A blend wit and momentous words. Exactly what I was looking for. One can be mended today and wiped out tomorrow yet wellbeing suggests, an individual is sound in life elements. Companion, mending as to wellbeing is generally shabby and some of the time simple to stop by, yet wellbeing is an achievement which requests a ton of spotlight and fixation on one's life elements conditions. Dr George Forgan-Smith 2011. Simple theme. Powered by Blogger.